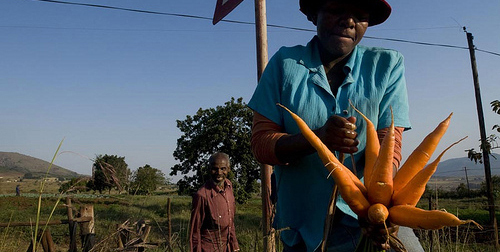 No matter how it is defined, nutrition starts with what we eat, the products of the food and agriculture sector. By working on our food systems, on the way we produce, collect, store, transport, transform and distribute foods, we can improve our diets, our health and our impact on natural resources. In lack or in excess, problems of nutrition always encompass inappropriate choices and practices. Nutrition education is an important step in empowering the consumer to make healthy food choices. 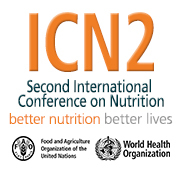 Support and facilitate action in the followup of ICN2, the 2014 Second International Conference on Nutrition; as well as co-convene the UN Nutrition Decade of Action on Nutrition, declared in April 2016 by the UN General Assembly, and lead the implementation its WORK PROGRAMME jointly with the World Health Organization (WHO), in collaboration with key partners. Research on and release of evidence, data and guidelines on food-based nutrition including food composition, nutrition assessment and food-based indicators, and human requirements ). Develop countries’ capacities to evaluate and monitor nutrition situations, analyze options, and implement agricultural policies and programmes that impact positively on nutrition. Provide tools, guidance and support for the scaling up of proper nutrition education and consumer awareness at national and local levels. 821 million people suffer from chronic hunger. 151 million children under the age of five are stunted. 3.4 million people die each year due to overweight and obesity. The cost of malnutrition is of about 3.5 trillion USD per year.